English, 1879, early maincrop. 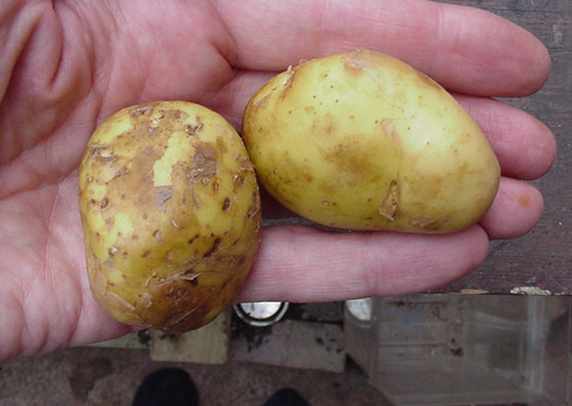 Sold as "Jersey Royal", the immature potatoes are waxy and firm. Left to mature they become floury; good flavour. They have white flesh and pale yellow skin. Note that tubers grown outside Jersey do not taste the same as true "Jersey Royals", where each field gets meticulous individual attention.